Embroidery is a terrific choice for those individuals and businesses who want a that clean professional look. Choose from many types of garments to embroider including: shirts, jackets, long sleeve t-shirts, sweatshirts, baseball caps, towels, bags, and uniforms. We also offer custom athletic embroidery. From Fitness, to Boxing to Martial Arts gi patches, we offer it all! Custom embroidered apparel is a perfect option for tradeshows, employee uniforms, schools and teams, etc. Contact Show Me Imprints today for all of your needs! We have recently added a full line of Work Uniforms that we are able to customize with any idea, name, or logo. 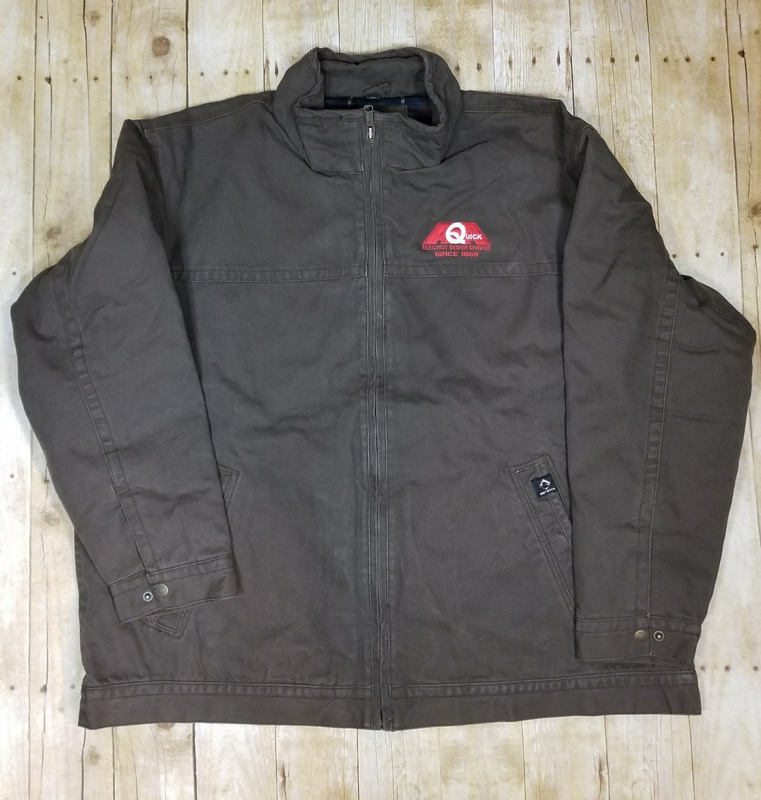 These are high quality workwear brands such as Red Kap, Dickies, Timberland, and Wrangler that covers a wide range of industries and occupations. If you have something you are needing please reach us via email, give us a call or click the button below to submit your custom request.